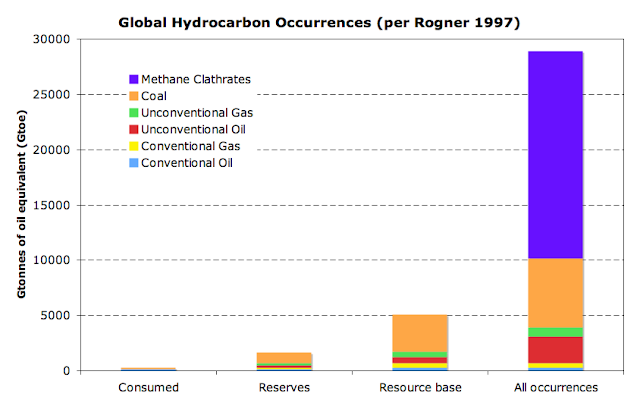 Al Fin Energy: Do We Really Want to Consume All of These Geo-Hydrocarbons? Do We Really Want to Consume All of These Geo-Hydrocarbons? The doomsayers of the 1970s thought we would have run out of oil by now because they compared knowledge about the state of supply then with rates of consumption then, and concluded that those available supplies would soon be exhausted. But we have consumed 40 more years’ worth of oil since then and yet find ourselves with more reserves than we believed we had in 1970. That is possible because the supply of oil isn’t only what is in the earth’s crust. Supply is also determined by the application of human intelligence to the problem of finding the oil we need. Today’s extra reserves are not due chiefly to discoveries of new deposits, but from wringing more supply from already known reserves through enhanced recovery techniques. 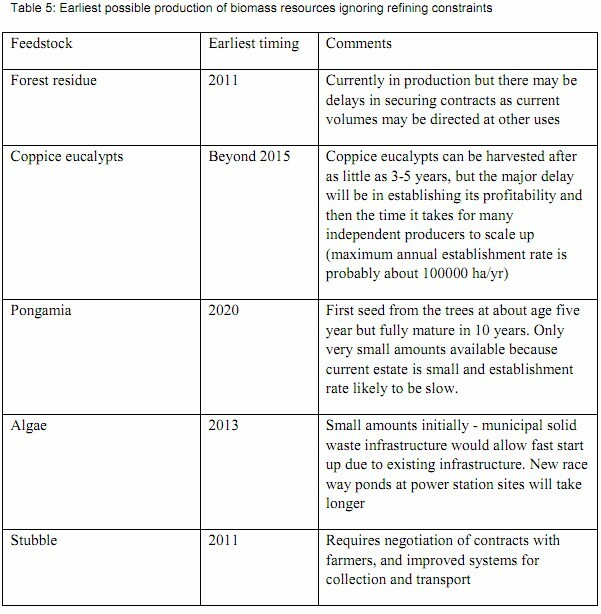 It is only a matter of time before fuels produced from agricultural, forestry, municipal waste, marine biomass, and microbial production become cost competitive with geo-hydrocarbons. Since such renewable fuels can be produced virtually anywhere on the inhabited parts of the planet, once the infrastructure is in place to produce economically competitive renewable liquid fuels, the need for geo-hydrocarbons is likely to shrink steadily, for all parts of the world except for those regions capable of very cheap production of geo-hydrocarbons. From Data in Rogner 1997 (PDF) via GWPFLikewise, for electricity production, the development of advanced fission reactors which are safer, cleaner, cheaper, more scalable in production, less prone to proliferation and storage hazards, and capable of burning fuel much more thoroughly -- these newer reactors will make the use of coal, gas, and oil for power production virtually obsolete except for areas rich in geo-hydrocarbons which are unable to afford or operate nuclear reactors. If scalable fusion and LENR reactors become workable, the obsolescence of hydrocarbons for production of heat and power should be that much more complete. The quantities of geo-hydrocarbon pictured in the graphs above are almost certainly gross underestimates -- and it is likely that to some extent "wet gas" is produced on a quasi-renewable basis deep in the crust or in the upper mantle of the planet. Some of that gas may even migrate to upper levels to become economically recoverable. And some of those "renewable" short-chain geo-hycrocarbons may be converted by bacteria into a crude oil, deep in the crust. 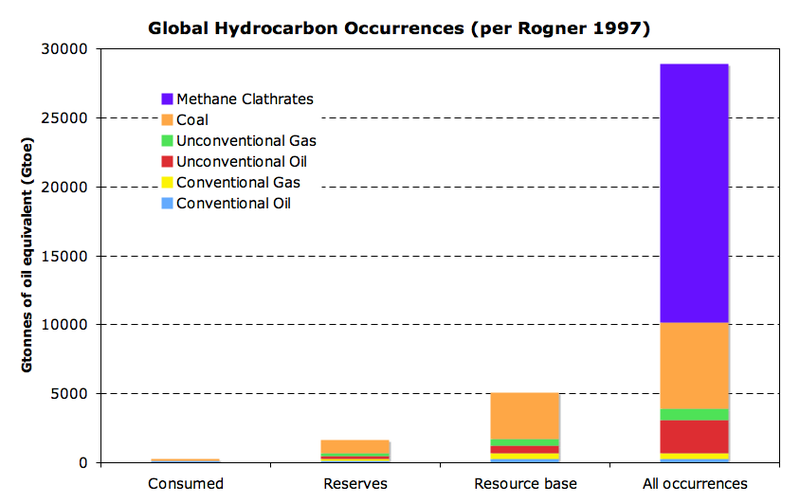 If so, estimates of Earth's geo-hydrocarbon complement are hugely underestimated by virtually every published source. We can find clean and affordable ways to use most of these geo-hydrocarbons, certainly. But the plain truth is that we should not have to. We are developing enough alternatives so that we will not require these resources, most of which should remain in place for the time should humans ever go back to a more primitive, more Luddist age. Substituting renewable synthetic liquid fuels for conventional transportation fuels, and nuclear powered electricity and heat for power from coal and gas, will allow for a relatively smooth transition from geo-hydrocarbons to fuels and energy that will take us at least to the next millenium. 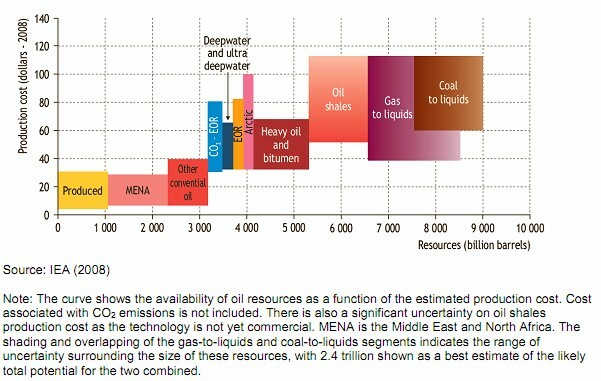 And if we ever do need the geo-hydrocarbons? There will be more in place then, than there were 200 years ago.